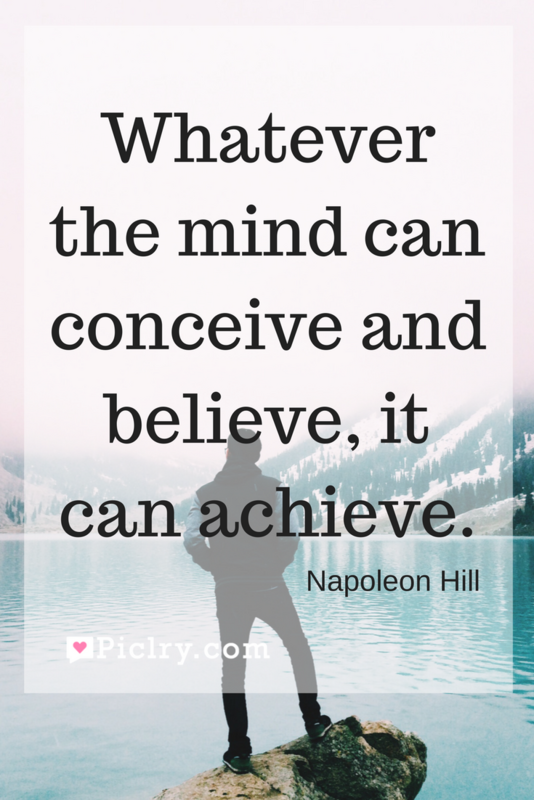 Meaning of Whatever the mind can conceive and believe, it can achieve Quote by Napoleon Hill. Mind is the greatest mystery of all. It keeps amazing everyone. It could be your greatest enemy or your greatest friend. 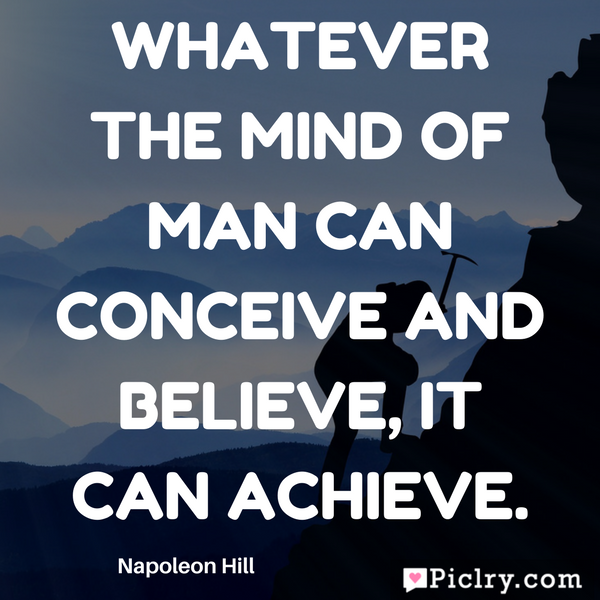 If your mind is set on something and believes that it can be done then it is not impossible to achieve. Success is 80% psychological and 20% fundamental. 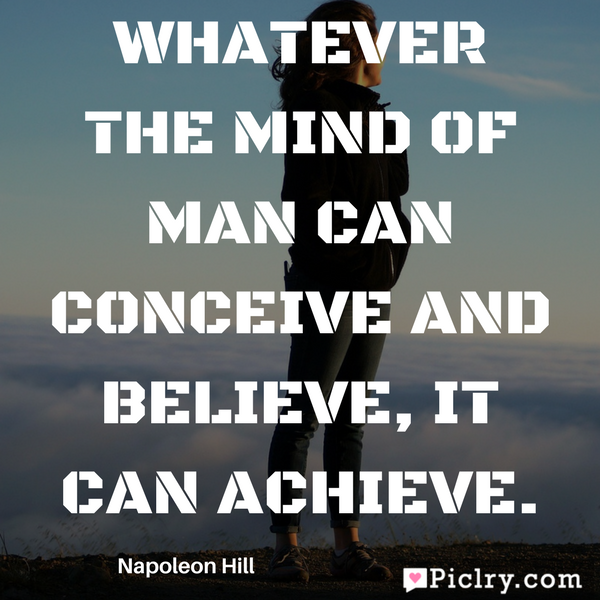 This means that if you have set your mind at something, there is just a remote chance that you will fail. In fact, you can be sure of succeeding. All you need to do is remove the barriers that are on your minds, the barriers that have been set during different phases of life and due to different events. Liberate your mind and let it take the lead. 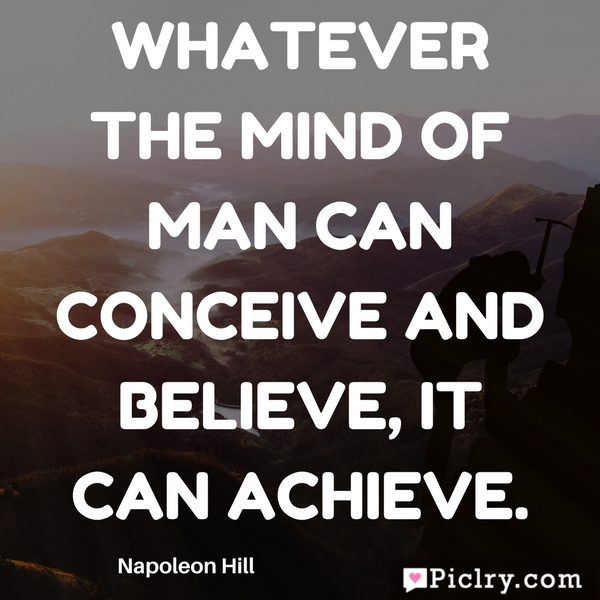 Napoleon Hill has rightly said that mind is so powerful that whatever it conceives and believes, it can also achieve it. That is the magic of the mind. If you can’t fly, then run – Martin Luther King Jr.